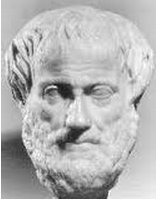 As stated previously, the next post in the Customer Engagement series can be found here: Aristotle’s Method to Customer Engagement, as a guest post on the Boulder Startups blog. In future Customer Engagement posts, I’ll go into more details on Ethos, Pathos, and Logos (Credibility, Emotion, and Reason), and what you can do to make sure you are including all three consistently across the customer lifecycle. Next Post Are Your Services a Product or a Feature?